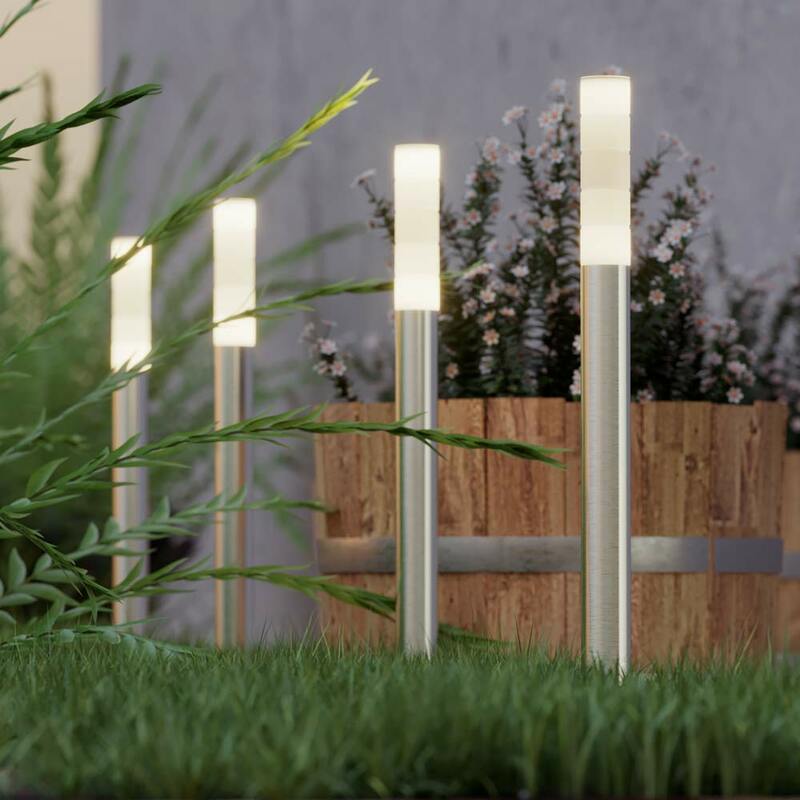 This charming set of four warm white solar glow posts will add atmosphere to any outdoor space. I am impressed by the quality and brightness of the lights. I do wish however that the leads were much longer, perhaps with some method of winding any excess around the posts. If nothing else, the lead from the solar panel should be twice the length. At first, I was underwhelmed. The lights looked a bit flimsy. However, they were easy to install - took me literally minutes - and look really nice. They fit nicely into my modern, minimalist garden and create a nice effect at night time. Very pleased. Glow Posts arrived in good condition. Rather pricey as shipped from UK to western USA. I strapped them to the top of the fence surrounding my door. I'm still charging them per instructions. I know that they work. Very attractive; thank you. Purchased for when we move to Norfolk. Our road has no lighting so good lighting is essential. Have tried them at our current home and they give off good light. The Bristol Solar Glow Post Lights come spaced 1m apart and include a remote solar panel which can be positioned up to 1.2m away giving you flexibility when looking for that perfect solar panel location. Designed to work in winter, these lights come complete with an optional Powersaving mode which will double runtime each night in exchange for a small reduction in brightness. The Bristol Solar Glow Posts turn on automatically each night and off automatically at dawn. Will these charge up fully on a winter's day and how long will they stay on for after it gets dark? Thanks. What are the anchor spikes made from? I have had some before which have rotted in the soil. 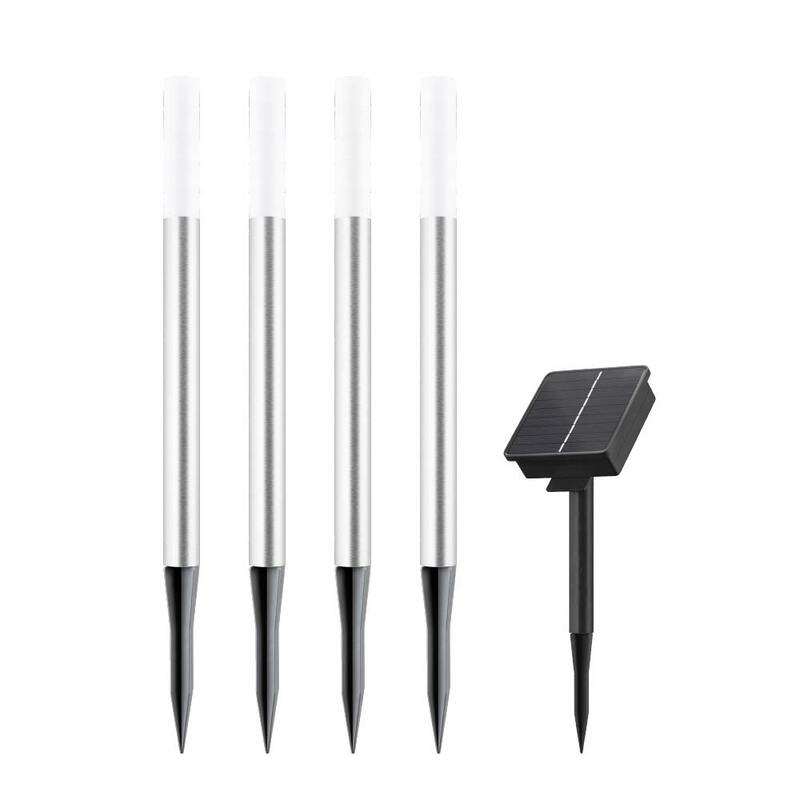 The spikes are plastic so will not rot. Even though you don't offer an extension cable between panel and lights, is it possible to wire in an extension myself, and assuming it is, would an extra 4 metres of run to the lights be acceptable? Yes, you could extend yourself but it would void the warranty. The longer the wire from the panel to light/battery the more resistance and lower charge making it to the battery, but if the panel is in a far better location then this will outweigh the resistance.